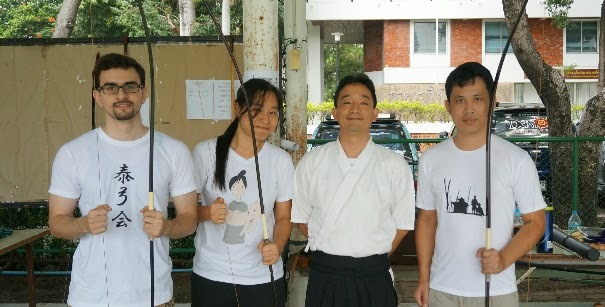 Siam Kyudo Kai: A great support to beginner! A great support to beginner! Today is one of a happy day for us especially to our member who is a beginner. Yoshitaka Noda-san has supported us 3 new yumis for practice. Now, Yah, Gay and Bird, our member, can move to next step to practice Tsubiki. This has put a training and promoting of Kyudo in Thailand in to another level. Thank you so much, Yoshi-san.